Sterling silver cuff with a dark patina. Accented in 18k yellow gold. Also includes a gemstone of your choice. 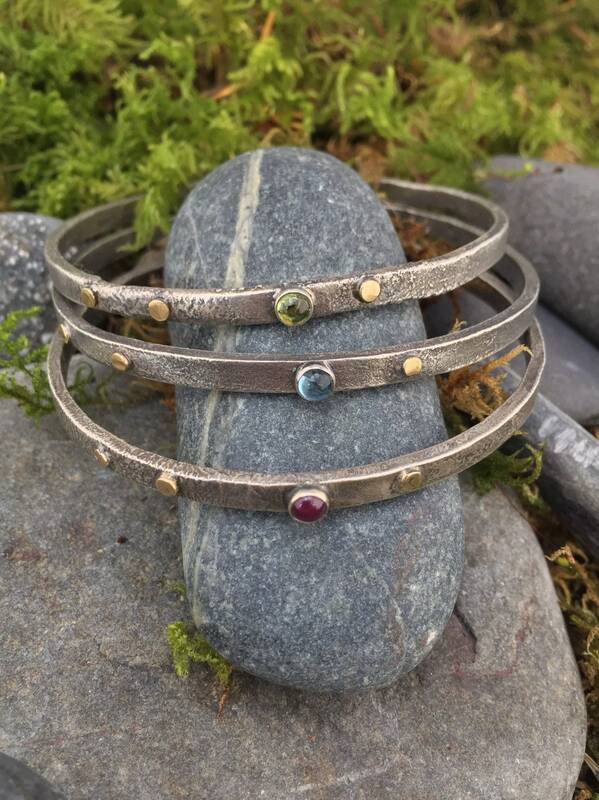 These easy to wear bracelets measure 3/16 inch wide by 5.5 inches in length and fit a medium sized wrist. Wear them alone or stack them up!